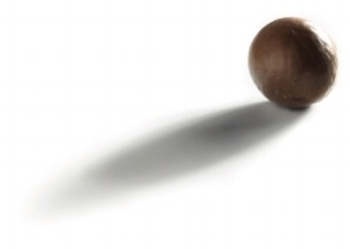 LAUNCHED IN 2003, HUSQUE IS an innovative design product THAT REVOLVES AROUND THE NATIVE AUSTRALIAN MACADAMIA NUTSHELL. Created by Marc Harrison HUSQUE is the result of an artist in residence placement with FMCA (the Furniture Manufacturing Company of Australia) in 2000. Identifying and capturing what makes Australian design unique, Harrison explored concepts in production and the idea of 'the intellectual property of origin'. Having been involved in projects and exhibitions that focussed on contemporary themes in Australian design, the objective of this placement was to practice design led thinking from within an Australian manufacturing enterprise. 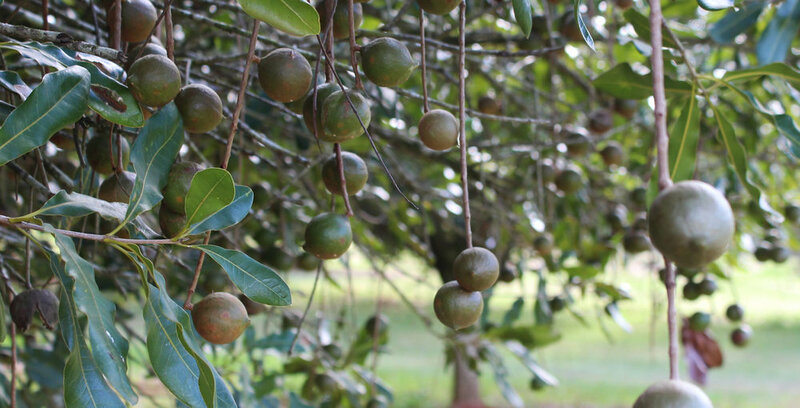 Upon discovering the unique Australian story of the macadamia nut and its native origin to the East Coast, Harrison took a lateral view by addressing the waste shell from the macadamia nut processing industry, and by value adding to it an idea was born. Over three years of development, Harrison perfected the process to create the material that today forms the basis of all HUSQUE products. HUSQUE is a composite material, not dissimilar to the early 1900s recipe for electrical Bakelite which combined wood flour and resin. HUSQUE has qualities that allows it to be moulded into thick and thin sections with low shrinkage, it is strong and is insulative, it can be machined and has several options for finishing, including polishing, varnishing, waxing and oiling with beeswax and natural minerals. But what makes HUSQUE really special, is its connection to the Australian psyche, and its uniqueness as a native Australian plant that grew nowhere else in the world as recently as 1856. HUSQUE designs are influenced by the contours of broken macadamia shell, the faceted edges are proportionally similar to the natural thickness of the shell. The polished coloured interior is reminiscent of the thin protective lining on the inside of the shell. 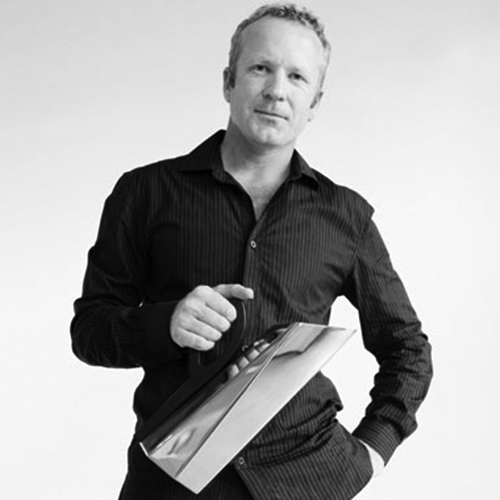 A New Zealand born, Brisbane based designer, Harrison began his design studio in 1991 after studying at the Queensland College of Art. With practical experience from time spent in the boatbuilding industry he went on to design and create unique furniture and fittings for local companies and his brand ANTworks. Harrison’s work (furniture, lighting, homewares and hardware) has been represented in prestigious publications including the International Design Year Book, Thames Hudson, London, and exhibited ICFF New York, and Maison et Objet Paris. Harrison’s experimental developments continued with a theme of 'the origin'. This theme was extended to 'the intellectual property of origin' which was the basis for the artist in residence he served with FMCA (Furniture Manufacturing Company of Australia) in 2000, supported by Arts Queensland. Alongside HUSQUE, Harrison still continues to develop new work and take unusual commissions in furniture and lighting. You can follow Marc on INSTAGRAM as HUSQUE.